Plan Toys 5349 - Monkeys, monkeys everywhere! 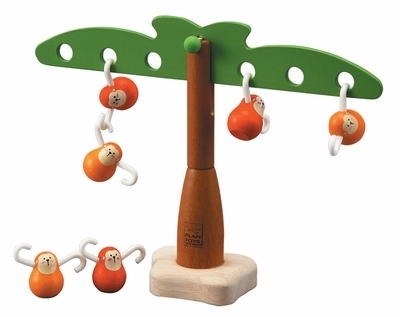 A funny balancing game where the monkeys hang in the tree and from each other. Six wooden monkeys with plastic arms. Wooden tree measures 7.9" tall x 11" wide. Made from ruuber wood and printed with non-toxic paint.